A man has been arrested and police are appealing for witnesses following a spate of arson fires in a Sussex town. 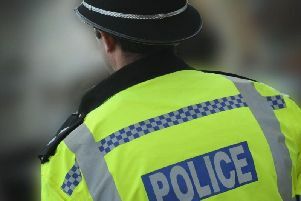 Over four days, police received reports of three vehicle fires, a bin and a ‘for sale’ sign fire in the Broadfield area of Crawley. The first incident was a silver Peugeot found at the entrance to Broadfield Park at around 9.50pm on Wednesday, October 27. On Thursday, October 28, a BMW 320 series was reported on fire at 10pm in Broadfield Park, behind Marlborough Road. A bin fire was reported to police at a property in Finsbury Road on Friday, October 29 at around 11.30pm. As officers were searching for suspects for the bin fire they found a ‘for sale’ sign on fire in Woodmans Hill at 12.15am on Saturday, October 30 which they extinguished. Just 10 minutes later, officers found a Mercedes A Class on fire in Broadfield Park, behind Highwood Park. However their attempts to put out the fire were unsuccessful and West Sussex Fire Service were called. Detective Inspector Jonathan Robeson said: “A number of different arson attacks occurred in the Broadfield area over a very short space of time. “We would be keen to speak to anyone who noticed any suspicious behaviour at the time of any of these incidents. A 37-year-old man from Brighton was arrested on suspicion of seven counts of arson and has been released under investigation. If you have any information please report online or call 101 quoting reference 1433 of 27/10.